A book with title, The Bible of Automotive, contains an absolute guidelines and provisions for maintenance of a luxury car so that it can be treated well and properly. Of course, to achieve the maximum result, those who buy the guide book should read it well and then apply it, rather than putting it away and placing the book as a display on a bookshelf. Apparently, the world admits that the Bible is a guide book of life to be read well, meditated every day and if the reader obeys and does what is written in it, then the maximum result will be obtained by the reader, an abundant life of God’s grace. 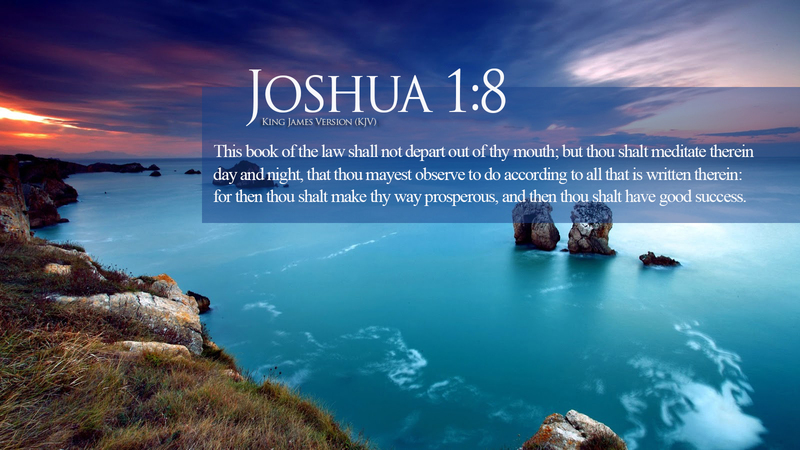 Therefore, it is true what was said by Moses and Joshua to keep this Book of the Law always on your lips; meditate on it day and night, so that you may be careful to do everything written in it. Then you will be prosperous and successful (Joshua 1:8). In this life, we need a guide so that in everything that we do will be prosperous and successful. The Word of God will not give maximum, effective and efficient results if we do not read, say, meditate on it, and do it or we just put the Bible in the closet or on your mobile phone. But the word of God will become powerful when you read it, meditate it, say it and do it. Be aware that God is a God who speaks and the Word has a full of power and in order to prove that it is a powerful word, read, say, meditate and do it. The Bible is a guidance to achieve maximum results in your life.